Our fundraising/partnerships team at SPEAR are professional, experienced, committed and friendly. They will work with you to offer a tailored programme of activities. We look forward to welcoming your company! We offer a meaningful partnership, where you can get to know our service, our clients, our staff and really see in action the difference your support is making. You can involve your staff in a variety of volunteering; from offering your professional skills, to helping our clients with education, to office work, events, or even giving talks in the community to engage others. We have a variety of events you can take part in from cycling, runs, sponsored sleep-outs, fairs and many more! We actively engage in raising the profile of your involvement with SPEAR through social media, press & public relations. SPEAR can help you increase your staff morale and staff wellbeing through involvement with our charity – giving back to charity, makes you feel great! We work with you to develop a corporate partnership that reflects your business needs, whilst helping us to continue our work with people experiencing homelessness. For upcoming events, please see our Events Section. A charity partnership can improve your reputation, motivate your team, and raise your company profile. Our experienced teams could organise volunteering sessions, pro bono opportunities, awareness talks, and joint events. Encourage your staff to organise their own fundraising event as this is a great way of getting your team together and having fun whilst raising vital funds for vulnerable people in the borough. There are so many different ideas and we would welcome anything from a coffee morning, dress down day or even something as brave as a group skydiving experience. Building relationships with volunteers is very important to us. Through volunteering you are helping us to expand our workforce, providing even stronger skills and making experience accessible for our clients. Your employees could help us with an outreach shift where they would gain first hand experience of engaging with those sleeping rough. Or help the Education, Employment and Training team, by assisting with their activities or at any one of our events! To enquire more about volunteering please contact our Volunteer Officer at volunteering@spearlondon.org. This simple way of giving has a massive impact on fundraising for SPEAR, allowing us to plan our work with the peace of mind that whenever we need the funds, they are secure. Payroll giving requires almost no effort on your part, literally allowing your money do all the hard work for you. By donating through your salary (or pension scheme) your donations are tax free making sure that your gift actually reaches the people who need it the most. We are extremely grateful for all the support we receive from companies. Some go on to select SPEAR as their Charity of the Year. In 2017, SPEAR held their 30th Anniversary event where over 50 companies donated prizes for this event. They were thanked at the event, but there are too many to list here. In addition, at Christmas each year, many local businesses donate Christmas gifts for our clients. We also have many kind businesses and individuals donating clothes and food. We are extremely thankful for each and every one of those companies (and kind individuals too). However, there are some businesses who donate food on a regular basis to SPEAR, meaning we have a more formal partnership with them. In addition, there are some companies who have engaged in volunteering placements with SPEAR. St George is a member of the Berkeley Group, London’s leading mixed use developer and a FTSE 100 company. St George regenerates brownfield land in London to create thriving new communities in attractive landscaped environments. In 2016 St George renewed its commitment to support SPEAR as a Berkeley Foundation designated charity for a further three years through fundraising activities and staff volunteering. St George have organised a large sporting tournament for SPEAR every year involving their staff, their suppliers and a SPEAR team involving our clients and staff. They have also been involved in bike rides, £10 Challenges, runs and volunteering. In addition, for a number of years The Berkeley Foundation generously supported our Trainee Outreach Worker post. Overall, they have raised over £200,000 for SPEAR. Their support has been staggering, enabling SPEAR to develop further as a charity and offer new services to those most vulnerable. Inspired Women is a great evening of fun and laughter alongside great opportunities for social and business networking with women from Richmond, Twickenham, Teddington, Hampton, Sunbury, Kingston Upon Thames, Middlesex, Surrey and Greater London. Their events attract many local businesses. Whilst ‘Inspired Women’ is not a corporate themselves, they became involved with SPEAR in 2017 through our #SPEARBauble and our 30th Anniversary event. 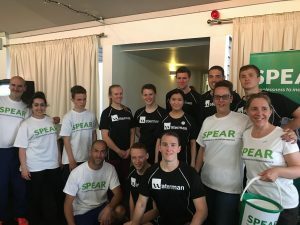 They selected SPEAR as Charity of the Year from March 2018. Some local Inspired Women businesses have supported us, from Yuletide Yoga and Hand Serenity. We look forward to the partnership throughout 2018. 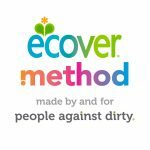 People Against Dirty are the fearless thinkers, mad scientists and adventurous designers who believe in defying the status quo with innovation and optimism. 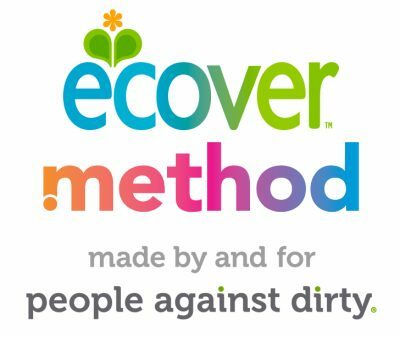 They are the people behind the cleaning brands Ecover and method, who through bubbles, they want to make the world a cleaner, greener, more colourful place. As a certified B Corporation they believe in using business as a force for good. Thames Valley Housing is a medium-sized housing association based in Twickenham, South West London. Thames Valley Housing own or manage some 15,000 homes in London, Berkshire, Surrey, Hampshire, Oxfordshire, Buckinghamshire, Wiltshire and Sussex. These include traditional rented housing, shared ownership, key worker and student accommodation. Thames Valley Housing have been involved with SPEAR for a number of years. With their Head Office down the road in Twickenham, we have enjoyed an ongoing partnership with them. 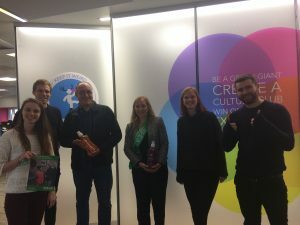 From using their offices for training days, receiving their old ipads for our clients, taking part in sponsored sleep-outs, collecting at Twickenham station, painting our hostel, supporting our Christmas #SPEARBauble campaign. More recently, they organised an International Women’s Day event where SPEAR were a guest. 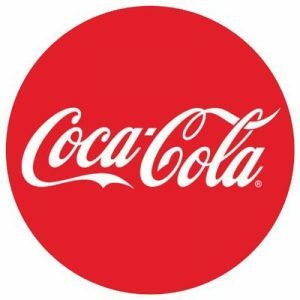 Started their partnership with SPEAR in 2018. 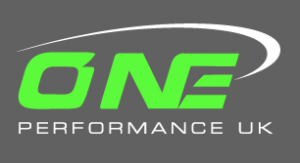 They are an independent gym and spa, open to the public but also focussing on 121 training. They are planning a launch event and one big event each year and also a small charge from classes with funds going to SPEAR. We are delighted to have them on board and look forward to the future developments. Are a digital marketing company based in Richmond who run a tech networking group of over 1,400 people. They came on board with SPEAR in 2018 and we are looking forward to how we will work together. 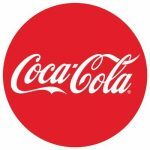 Discussions around some cause related marketing (i.e. donations through product purchases), are just one of the ideas being explored. Impact protection is their passion. Strongly believing that things can always improve and get better, tech21 is one of Britain’s fastest-growing tech companies. Waitrose is a leading British supermarket, which provides fresh quality food across Britain. They continue to have long-term positive relationships with farmers and suppliers and support responsible sourcing, treating people fairly and looking after the environment. 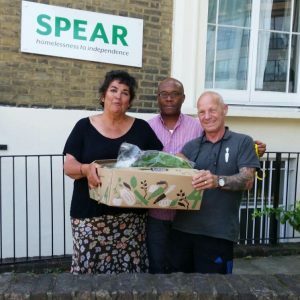 They have supported SPEAR in ways such as food collection in store generously donated by customers, with a wide variety of essential produce for our clients. Furthermore, a number of their stores have held token drops for SPEAR, where the company gives a financial donation to the charity, in addition to the token drop raising overall awareness for SPEAR. 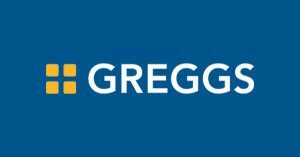 Greggs are the leading bakery food on the go retailer. They are committed in providing fresh, quality and affordable bakery food around the country. They have provided significant support for SPEAR. They have supplied cakes and cookies for collection days and donated food for SPEAR clients on a weekly basis. PageTiger is a publishing system allowing individuals to make amazing content online. Using only one system you are able to publish and track without the need to download any software. The efficiency of the PageTiger software allows SPEAR to have new innovative ways to communicate to clients, volunteers, donors and organisations. We will be able to ensure that more rough sleepers and people suffering from homelessness get to hear about our work through new audiences we communicate to. Using PageTiger’s fantastic online product we will also demonstrate more engagement and interactivity with our work from those who want to get involved and help. Ben & Jerry’s are a leading ice- cream provider who make the best possible ice-cream in the best possible way. They regularly supply SPEAR with ice-cream. This ice-cream has been provided at many events including our 30th Anniversary event, our client Christmas party and also to go with the Christmas pudding for Christmas lunch. Chris and his colleagues, from Ben & Jerry’s also attends these events and serves the ice-cream and we have really loved their support. In the summer, our clients enjoy a bowl of ice-cream as a treat. 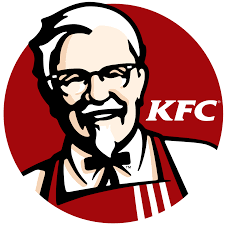 Provide chicken to SPEAR clients on a weekly basis. Nandos have also supported one off events through volunteering and product donation such as our Christmas party. Our clients, really enjoy getting their chicken for hot chicken for lunch. Also provide chicken to SPEAR clients on a weekly basis. This with the Nandos, means we are able to ensure regular supplies of fresh chicken to our clients. Clients just love to drop into the Hub or Hostel and get their protein fix. Regularly donate fruit and vegetable boxes to our Penny Wade House Hostel, providing vital vitamins and nutrition. They also donated fruit and veg and a prize at our 30th Anniversary event. Their ongoing donations are really appreciated. Regularly donate their fantastic bread, buns, pizzas which taste delicious. These are great lunches to go alongside the chicken. 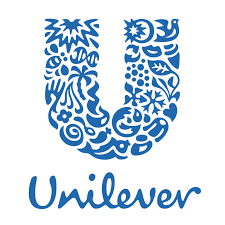 Kingston based Unilever have built a partnership with SPEAR, inviting them to Volunteer days. Also, painting our offices/hostels and getting involved in the #SPEARBauble campaign. It has been great to get to know them better. First got involved with SPEAR as a volunteer project of painting the stair-ways of Penny Wade House. They did a fabulous job, but of course we couldn’t let them leave without asking for some product donation. They kindly gave us free drinks for our 30th Anniversary event and also our client Christmas party. They are not based locally, but we have really appreciated their adhoc support. One of the designers from Make it Clear, who lived locally in Twickenham, shared her professional skills pro-bono to design our 30th Anniversary logo and leaflets. The 30th Anniversary logo has reached audiences far and wide, is printed on our anniversary bags and on our new website. Thank you Sarah Edwards from Make It Clear. Squires Garden Centre and Cafe Bar selected SPEAR as their Charity of the Year in 2016 – 2017. They select a different charity each year for their collection tins in their store in Fulwell. We appreciated getting to know the staff at this store better and thank all those customers who generously donated money into the collecting tins, raising over £2,000 for SPEAR. During the year, we also held some carol singing, awareness raising and collections at their store. HML Holdings is proud to be recognised as one of the leading independent property management service providers in the country. They have been providing property management services to the residential sector for over 20 years and, through specialist divisions, also offer clients related professional services including insurance broking, company secretarial services, building surveying and the employment and management of site staff employment. HML have supported SPEAR in a variety of ways in the past, including sponsorship of our events materials, programmes and newsletters and participation in fundraising events. The South West Trains-Network Rail Alliance Charity Panel was proud to support SPEAR and the work they do in 2014 – 15 as chosen Charity of the Year. They funded our skills and development, provided bikes to our clients and their employees fundraised for SPEAR through events. SPEAR continue to hold regular station collection days at SPEAR stations.